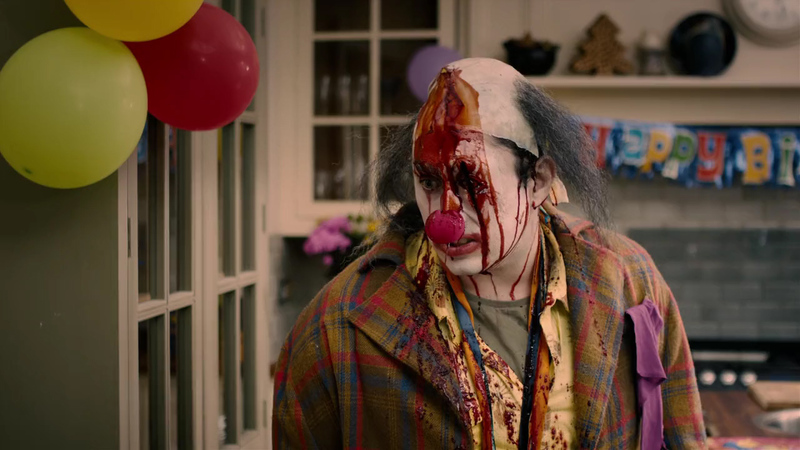 Stitches marks comedian Ross Noble’s acting debut playing the role of Stitches, a clown who comes back from the dead. In sharp contrast to the rest of Ross Noble’s career, there’s absolutely nothing funny about Stitches the clown. How does he die to begin with? Well, when he’s still the very alive Richard “Stitches” Grindle, he gets a prank played on him by some kids. The prank, the old trick of tying together his shoelaces, goes horribly wrong when Stitches trips and dies. Like most decent horror movie antagonists, Stitches doesn’t stay dead: When Tom arranges another party years later, Stitches comes back to take his revenge for the prank that killed him. It’s a great revenge slasher flick, especially for those who enjoy movies like I Know What You Did Last Summer. The movie also features Tommy Knight as Tom, a role which the IMDb Trivia section claims was first offered to Daniel Radcliffe. Horror is somehow more uncomfortable when it borders on the fringe of reality. In the case of Gacy, it’s completely real. There have been a couple of films made about real-life serial killer John Wayne Gacy, but not all of them focus as much on the clown aspect of Gacy’s killing spree. Gacy, all dressed up in clown-garb, would refer to himself as Pogo the Clown – but, hiding under the made up face was something dark and sinister. To add to the movie’s unsettling character, Gacy is played by Mark Holton – also known for playing Francis Buxton in Pee Wee’s Big Adventure. In case just watching the movie isn’t enough for you, head over to Johnwaynegacyart.com for memorabilia ranging from $99 to $299. It’s the official website of John Wayne Gacy’s art, owned and run by Gacy’s estate. Some of the money is donated, of course, to the victims of violence. Somehow, the reality of Gacy gives substance to the rest of the movies on this list: Clowns are real, and they are terrifying. 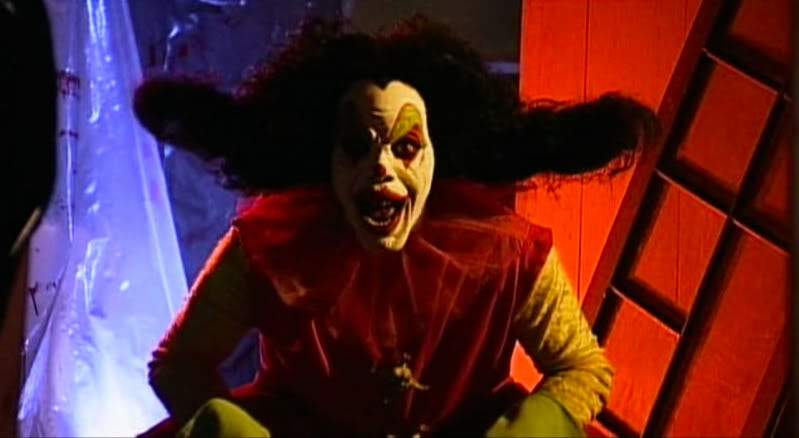 If you’re looking for an almost cult-classic clown horror film, look no further than Killjoy. Reviews of the original film been far less than favourable (2.5/10 on IMDb), but the film still remains an inexplicable staple of the clown horror genre. What’s more, it makes a great start for a movie marathon: Killjoy comes back for several more installations. Killjoy 2: Deliverance from Evil (2002), Killjoy 3 (2010). Killjoy Goes to Hell (2012) and Killjoy’s Psycho Circus (2016) are the rest in the Killjoy series, with the last listed as being in post-production after Full Moon Features’ successful crowdfunding campaign to fund the shooting of the movie. The role of the original Killjoy was played by Angel Vargas, but for later movies the role was taken over by Trent Haaga. It’s good old slasher fun shares the demonic clown idea with other movies like Clown. 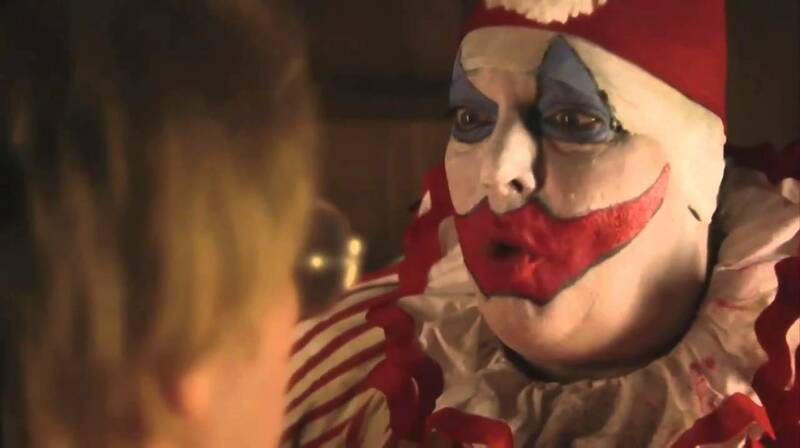 Kent McCoy is your everyday estate agent, until the clown for his son’s birthday party is a no-show, and he decides to don a clown costume he discovered in one of his houses. It turns out to be a big mistake when he realizes the clown suit isn’t coming off. The clown wig becomes part of his skull; the nose sticks. He tries to get the suit off with some power tools at work – of course, no deal. He doesn’t just become a clown, he transforms into a clown: A grotesque demon creature with a unique bloodlust for children. 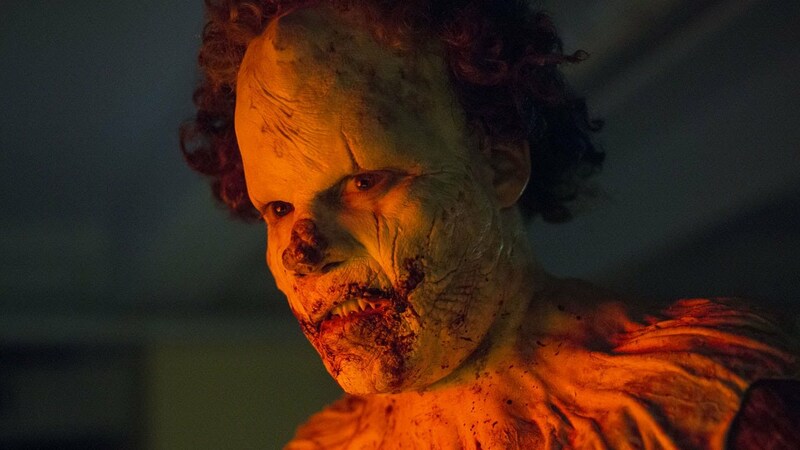 The process is gradual, painful and horrifying: It’s not your average creepy clown movie, and it’s a refreshing take. There’s something very sinister about this version of the evil clown. To prove just how horrifying the clown turned out, movie posters were reportedly censored in Italy for being too unsettling. Clown is produced by Eli Roth, known for directing Hostel, among other things. Stephen King’s IT stands as a horror classic. Based on the 1, 136 page 1986 epic novel by King, the miniseries first aired on ABC in 1990. 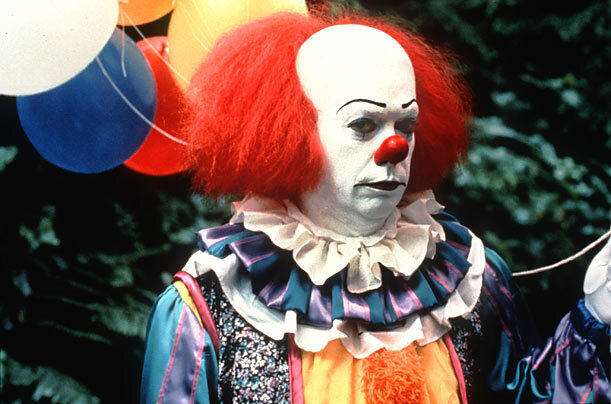 The cast includes Harry Anderson, Dennis Christopher, Richard Masur, Annette O’Toole, Tim Reid, John Ritter and Richard Thomas, with Pennywise the Dancing Clown played by Tim Curry. The story starts out with the awakening of IT in Derry, Maine. The movie covers a lot of ground, following the main characters from the horrors of their childhood when they first encounter IT to adulthood. Each of them are summoned to Derry, where they’re forced to remember – and face – the true existence of IT. Readers will know that the character of Pennywise goes a little deeper than the miniseries explores, but it does a damned good job at bringing across the demented nature of IT. Production on the remake began in June 2016, with Andrés Muschietti (the director of Mama) in the director’s chair. Bill Skarsgård is set to play the role of Pennywise. Author Bio: Alex J. Coyne is a freelance journalist, author and language practitioner. Sometimes, he reviews movies.